Mahesh is 47-year old farmer living in small village (Kallamanti doddigrama, keregodu Hobli). 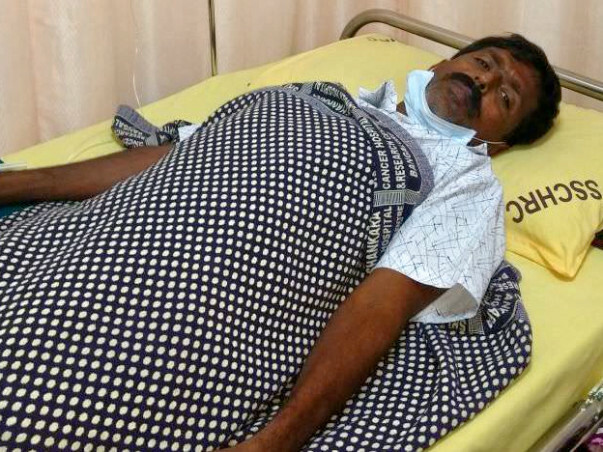 Recently he has been diagnosed with Bone cancer and has been under chemotherapy treatment from Sri Shankara Cancer Hospital and research center, Bangalore. 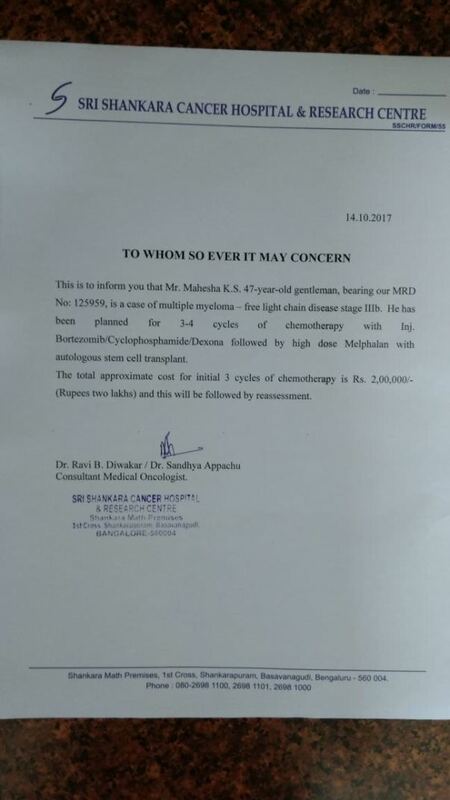 He has been prescribed for 3 to 4 cycle of Chemotherapy with inj.Bortezomib/Cyclophosphamide/Dexone followed by high dose Melphalan with autologous stem cell transplant and total approximate initial cost would be 2,00,000.About Mahesh's family background. Mahesh is married and having two small kids (11 and 13yr's old). he is the only earning member in the family and he is not in a condition to afford the treatment cost. Hence we are raising funds for his medical treatment which is very emergency. So we are requesting all of you to donate for his medical treatment and save his life.